Audiences learn how the discovery of Earth’s invisible magnetic force and static electricity led to a useful understanding of electromagnetic energy. 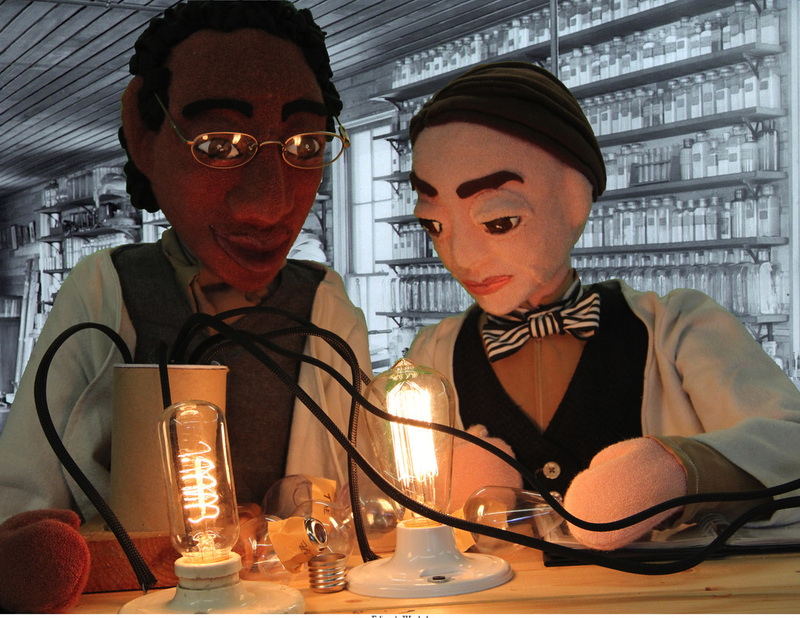 Puppets portray historical figures and famous scientists who employ the process of careful observation and build on each other’s knowledge, to make related discoveries in various parts of the world resulting in the invention of the compass, the lightning rod, the battery, the motor, and the electric light bulb. 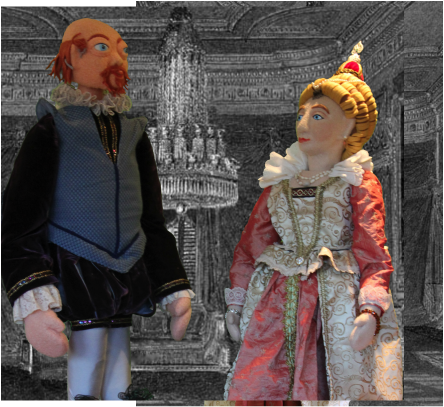 Queen Elizabeth I learns about the relationship between electricity and magnetism from Dr. William Gilbert. ﻿"What an amazing performance! I can honestly say I've never seen such a wonderful display of blending art elements while teaching scientific facts. I was truly impressed with your ability to capture the attention of the audience while creating a space conducive to learning science and developing an appreciation for theatrical art. It was incredibly entertaining and delightfully educational! Thank you for sharing your talents with us." 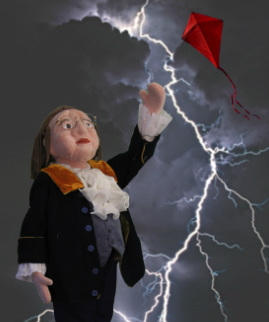 Benjamin Franklin captures the static electricity from lightening with a kite. 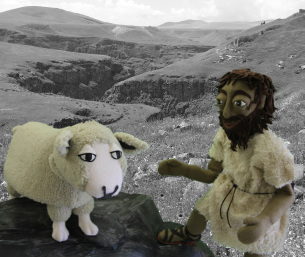 MAGNUS discovers the magnetic attraction of magnetite while rescuing one of his sheep. Huang-Ti invents the first magnetic compass. Nikola Tesla explains electricity to his pigeon friends. Thales observes static electricity when a rabbit rubs her coat against amber. ELECTRICITY! targets K-5 curriculum standards while incorporating topics in history, social studies, multicultural themes, and theatre.